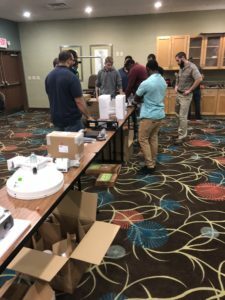 As Go Long Wireless (GLW) continues to move forward we wanted to share a behind the scenes look at one of our training sessions. This is one of our outdoor training sessions that recently took place. 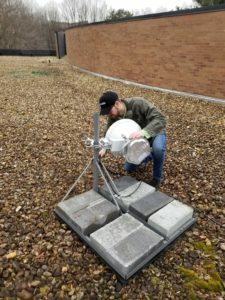 Our Techs Bruin and Mason were conducting the install on a flat roof using cinder blocks to secure points A and B. Flat roof tops are the preferred roof types for installations. 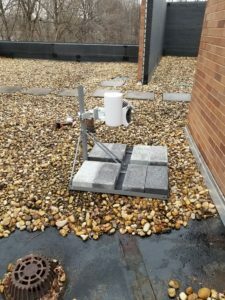 These roof mounts are on a sled held down with cinder blocks and do not require any drilling or changes to the structure of the roof. In this scenario the two antennas are pointing directly towards each other with an A side and a B side. The A side broadcasts to the B side and completes the link. Stay tuned for more behind the scenes photos and further updates on GLW. Earlier this week our partner Novation hosted a week-long training session in Tampa, Florida. 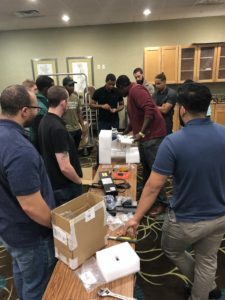 The training consisted of two groups of service veterans who will be responsible for the setup and installation of all the equipment. In attendance for this session were 10 trainees (group 2), the trainer Simon Ojulo and a representative of Go Long Wireless (GWL). Most of the trainees participating have either communications equipment or mechanical backgrounds from the military. 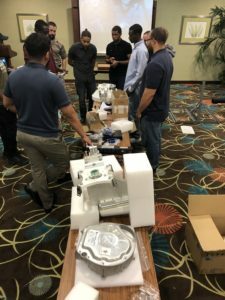 The goal of this session was to begin hands-on training with an experienced installer. The training session was designed to give each trainee an opportunity to work on all aspects of the set-up and installation of the equipment. 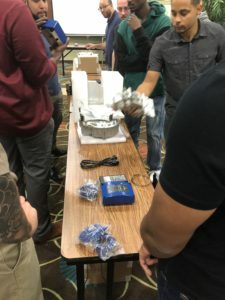 The trainer had the trainees work in small groups, rotating tasks to guarantee each trainee was familiar with the process and all the components for one complete radio. Metal cabinet for wall mounting or floor placement with roller casters. In addition to the equipment training, all the trainees were given an exam for OSHA certification. This certification pertains to the Construction Industry and provides training for workers and employers on the recognition, avoidance, abatement, and prevention of safety and health hazards in workplaces in the construction industry. The training concluded after a walkthrough of the wiring and equipment disassembly. The next training is at the end of the month. It will consist of “hands-on” training at our sites in Baltimore. Stay tuned for updates once their available. We start 2019 at Go Long Wireless (GLW) with a quick progress update on the site selection front. We are happy to report that our installation vendor (Novation) has narrowed the site locations down to 116. Our goal is to have that number trimmed by 50-60% by the end of this month. We are also happy to report that the Initial installation training is scheduled for this month in Tampa. We are hoping to get the exact dates and location shortly. Stay tuned for photos and training updates in the coming weeks. We are still on track to complete phase II by end of first quarter 2019. Go Long Wireless (GLW) has continued to move forward and make progress with positive results. 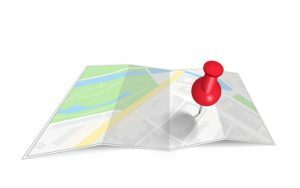 Site identification has been completed for all VSO (veteran service organizations) locations by our partners at Novation. Contact has also been made with nationwide single landlords to provide rooftops. Novation is estimating GLW will end up with 80% nationwide and 20% VSO rooftops. 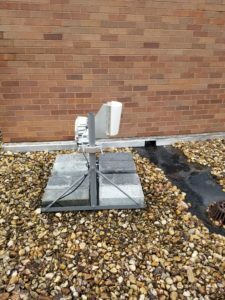 This allows for us to continue with our plan to partner with VSO’s but with the added benefit of gaining additional rooftop access in a few easy steps. At this point we have initiated phase II of the project which is site acquisition. This process has started to ramp up and with increased speed and efficiency comes hitting our target dates to complete phase II and move onto phase III. We also anticipated that we will be able to expedite Phase II faster than thought. This phase also includes working in partnership with Afterimage GIS to produce all the necessary interference studies to ensure the deployed network meets the requirements of the substantial services audit process. 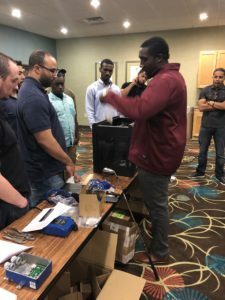 Technician Training will start Jan 14th thru Jan 25th – Tampa (classroom and hands-on lab) with actual deployment training January 28th thru Feb 2nd in Baltimore. From there we will deploy 4-person teams to the remaining GLW markets. We project we will be completing our final installations by the first of May. We will continue to provide updates with pictures into the New Year so stay tuned. • The FCC is requiring that anyone who holds an MVDSS license needs to show a substantial service by July 2019. The FCC defines a substantial service as a construction of 4 broadcast sites for every million people in each of our Designated Market Areas (DMA’s). We currently own and manage 36 FCC licenses in 36 Designated Market Areas (DMAs) throughout the US. • The consequence of not meeting the FCC deadline is the licenses will be foreclosed to be re-auctioned by the FCC and our investment will be lost. 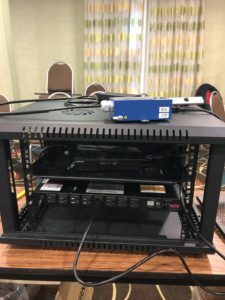 • In order to accomplish the goal of building out a service and keeping the licenses, we enlisted the expertise of two outside vendors, Cambridge Broadband Networks (CBNL) to provide the broadcast radios and receivers and Novation Networks to oversee the installation and build-out of our DMA’s. • Cambridge Broadband Networks (CBNL) has manufactured and shipped the necessary equipment to construct the sites. The equipment comes in pairs, with a transmitting unit (Access Point) and a receiver (Remote Terminal). We took possession of all our equipment and it’s currently being housed in a few staging locations throughout the United States. • Novation’s job is to identify the sites for the build, negotiate and install equipment on the site rooftops. 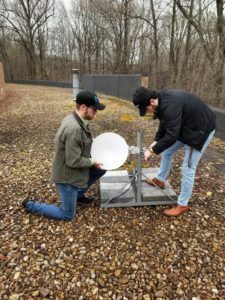 The installations themselves will be performed by Warriors4Wireless (W4W) a non-profit organization that employs veterans in the telecommunications industry. How close are we to reaching our goal? Currently, we are in the process of selecting and surveying installation sites. Site acquisition is by far the hardest challenge of any sizeable build out. Our original plan was to partner with Veterans Service Organizations (VSO) in the U.S. We soon realized that as much as we wanted to partner solely with only VSO’s in each of our markets, they posed a different challenge as each site was managed independently. We have since modified our strategy as Novation has signed deals with single landlord entities who own multiple buildings in many of our DMAs. These sites give us more efficiency and scale. Although this course change put us behind two months, we are confident that we have built in plenty of time to keep us on track to reach the July 2019 deadline. Stay tuned here for periodic updates on the status of the build-out, FCC and Market news surrounding our spectrum and anything else topical to our MVDDS holdings. In February 2018 Go Long Wireless finalized an agreement with Cambridge Broadband Networks. They will serve as the prime contractor on the project. CBNL is the market-leader in licensed point-to-multipoint (PMP) microwave and millimetre wave solutions. Initially, their primary focus was to build the equipment. In early Fall the equipment was manufactured, shipped and cleared customs. The equipment is currently being housed in a few installation staging locations throughout the United States. The completion of this stage means that CBNL can focus on installation. Why does the world need more capacity? According to the Cisco Visual Networking Index: global internet traffic in 2021 will be equivalent to 127 times the volume of the entire global internet in 2005. Let’s put some figures behind that – globally, internet traffic will reach 30 GB per capita by 2021, up from 10 GB per capita in 2016. One of the largest areas of this traffic growth will be video traffic which is expected to triple between 2016 and 2021. Some quick math reveals that’s a compound annual growth rate of 26 percent between 2016-2021. Let’s put it in a way that will surely boggle your mind…it would take you more than 5 million years to watch the amount of video that will cross global IP networks each month in 2021. Another revelation in Cisco’s forecast is that smartphone traffic will exceed PC traffic by 2021. By 2021, smartphones are expected to account for 33 percent of total IP traffic, up from 13 percent in 2016. Such growth in mobile data consumption likely means greater capital spending on 4G LTE networks by the likes of AT&T, Verizon Communications and T-Mobile USA here in the US as well as other mobile carriers across the globe. It also bodes well for the deployment of 5G networks that offer richer data speed and network capacity. What is 5G and why is it a game changer for owners of spectrum like MVDDS? According to Wikipedia 5G stands for 5th generation mobile networks or 5th generation wireless systems, abbreviated 5G, and it is the proposed next telecommunications standard beyond the what we have today…. most of you have a smartphone with a 4G in the upper corner, well someday soon that number will be 5G and what that ultimately will mean is still in development. In some ways, 5G is pretty much what you’d think it is: faster than 4G which is on your smartphone, but not as fast as the speed of light…meaning there’s no hard definition yet, and no hardware standards to build upon —but that has not stopped the major carriers from generating a buzz about testing their own 5G technologies. The only point of agreement among the carriers is a vague outline. 5G will be crazy fast, crazy stable, and crazy versatile. 10Gbps speeds won’t be unheard of, most of you have between 12 and 50 Megabit speeds now, so 5G will swamp your fantasy of what you think is fast. It’ll replace home Wi-Fi networks in many cases, offering faster speeds and better coverage. And yet it will not be here overnight…most experts agree that having 5G antennas in your phone will not be prevalent until around 2020. 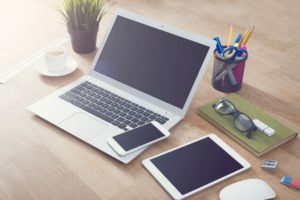 You may have recently invested in an Amazon Echo, or a Google Home device, or you may have some appliances that are now on your home WIFI network, if you do then you are now part of the Internet of Things (IoT) where everything from a washing machine, to a car or a pacemaker can now be connected to the internet. 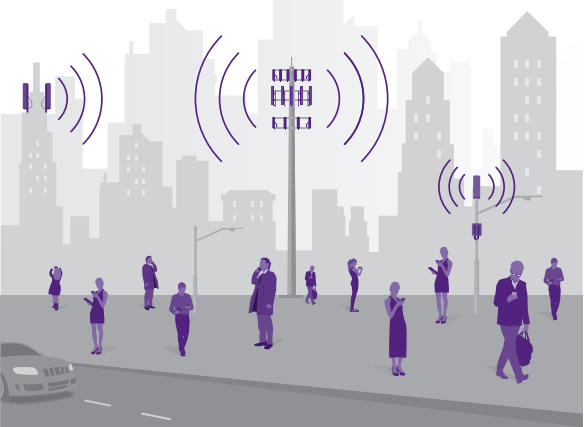 5G is designed for a world in which tens of billions of gadgets depend on constant connectivity, 5G networks will be engineered to adapt to the needs of individual devices and manage capacity and speed to create great efficiencies that do not exist today. For mobile devices, 5G will purportedly fix many of the problems with 4G and existing wireless technologies. It’ll be designed to support many more concurrent users and devices, serving them all at higher speeds than 4G. The days of your data speeds slowing down because you’re at a crowded event are numbered. The 5G networks being planned right now will operate in a high-frequency band of the wireless spectrum—between 20 GHz and 300 GHz (although Go Long and other MVDDS license owners have petitioned the FCC to include MVDDS as a 5G spectrum which is pending a rule making), in what’s known as the millimeter wave spectrum. These millimeter waves can transfer large amounts of data at very high speeds, but they don’t travel as far as the lower-frequency waves used in existing 4G networks. High-frequency millimeter waves also have difficulty getting around walls, buildings, and other obstacles. On a lower-frequency network like 4G LTE, the antennas can be farther apart, and obstacles aren’t a big issue. When the 5G networks are built, the carriers will have to use more antennas—many more—to get the same coverage as our current networks. You’ll see mini-antennas basically everywhere. Carriers in the US are targeting 2020 for widespread launch. That seems like a long wait, but it’s still an ambitious timeline—5G brings with it new antennas, new devices, and new applications for wireless data. Growth in 5G will be way beyond the smart phone, it will be in categories like automotive, virtual reality, drones, and more smart homes as well as systems that are not even in the consumer market now. Verizon recently announced it will roll out 5G service in 11 US cities by midyear, but that deployment is meant to replace fixed broadband rather than mobile service. AT&T will deliver its DIRECTV Now video service over 5G to a limited number of customers in Austin, Texas. Last year, Sprint delivered live 4K video over 5G at a soccer game, and T-Mobile intends to make 5G a high-speed pipe for VR video. On the hardware side, both Intel and Qualcomm have introduced 5G modems, as well as other pieces of infrastructure to support the various trials that will be rolling out this year. 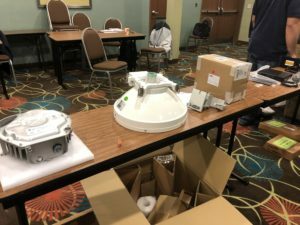 Hammer Fiber has technology today that is providing high speed internet, voice and television to homes in Atlantic City using conventional wireless standards and it is the ONLY system that is 5G compatible and can scale any network into a full 5G system using a combination of wireless frequencies and LTE. How are wireless spectrum values being effected by 5G? There was a heated bidding war between AT&T and Verizon recently for a company called Straight Path, a wireless spectrum holding company. Straight Path has only existed as a stand-alone business since 2013 and with nine employees and annual revenues of just 2.1 million for 2106, why would Verizon ultimately pay more than 1,400 times sales or $3.1 billion? The reason why Straight Path became so valuable is it owns spectrum in the new 5G space – 28 and 39 GHz licenses. By a common industry metric, Straight Path has 173 billion MHz-Pop, or megahertz of spectrum times population covered. Verizon is paying $0.017 per MHz-POP, while AT&T had initially offered $0.009 per MHz-POP. This price is rock-bottom compared to a recent government spectrum auction that had an average price of $1.31 MHz-POP in the top 40 markets. But the business case for providing 5G services on Straight Path’s spectrum is still to be developed and will be different from traditional wireless service, which at least in part accounts for the lower price. Straight Path’s price per MHz pop is still very relevant to owners of spectrum because just a year ago the entire Straight Path portfolio was valued at a fraction of its current sales price. If we were to apply the same value to our Go Long Portfolio, the simple math would go like this…Go Long owns and manages close to 13 billion MHz-POP (our population x our bandwidth) and 13 billion x $.017 = $221 million. Now, there are many reasons why our 12 GHz spectrum may be more valuable or less valuable than Straight Path’s 28 or 39 GHz spectrum, but the consensus is that it should be more valuable than our investment to date. What is Go Long doing to be a part of 5G? In 2016, Dish’s attorneys submitted to the FCC a Rulemaking proposal on behalf of all of the MVDDS 5G coalition partners, which would if approved, include the MVDDS spectrum as part of the new 5G spectrum initiative (MVDDS could be included on cell phones by any or all of the US carriers). This proposal if adopted would exponentially increase the market potential and value of our MVDDS spectrum far beyond anything our Waiver would accomplish. It has been over two years since the FCC submittal and the status of the 5G Rulemaking is it is still pending with the FCC and with no apparent movement. Although we are confident that our action will ultimately be put on the agenda and has a good shot of being successful, we have no idea as to the actual timeframe of its adoption or what the specifics of the rule will entail when it is finally adopted. We received opposing comments from AT&T asking the FCC Staff to investigate any possible interference MVDDS 5G would have with their Direct TV customers (a delay tactic) which we countered by hiring the former head of the FCC Engineering Department, Tom Peters to rebut. He and his team submitted two separate technology white papers that proved no interference to Direct TV by modeling aggressive 5G networks in Indianapolis and Washington DC. The FCC has also received a request by the fledgling NGSO (non-geostationary orbit) internet satellite companies to work within our spectrum which the initial rules provided. The FCC countered that any coexistence of MVDDS and future a NGSO satellite service sharing our spectrum would be defined by our pending 5G Rulemaking when it was adopted. The FCC reminded the NGSO community that it has many other spectrum bands to utilize and sharing the 12.2 -12.7GHz spectrum with Dish, Direct TV and MVDDS would prove to be a crowded scenario for everyone involved. In summary, we are waiting for the FCC to act.